You Can Be a Ballet Champion! Help us raise $20,000 to continue transforming lives through exceptional dance education and performances. Cover 2 weeks of Creative Movement classes for a little dancer! Provide 45 minuntes of coaching to a future ballet star! Give one pair of pointe shoes to one of our intermediate level dancers! Help us Raise the Barre! With your support, the Sarasota Cuban Ballet School can keep on transforming lives through exceptional dance education and performances. Our school is a haven where young dancers build up skills and confidence, are encouraged emotionally and —when necessary— supported financially so they can achieve their artistic goals. Many of our aspiring artists have gone on to join major ballet companies; others have used the creative tools and life-skills developed in the studio to successfully navigate life after completing their dance education. Our goal is to keep training and showcasing the best and brightest young ballet dancers in our community, but we cannot do it without your help. 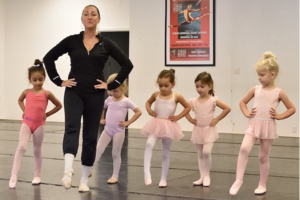 The Sarasota Cuban Ballet School provides world-class ballet instruction in the Cuban Ballet style to a student body that is diverse, both ethnically and economically. We offer a full array of classes from Creative movement for very young children to a pre-professional program that prepares our most advanced students for a career in dance. Recently, we launched Dance for a Future; an after-school dance program for young people from Title I Schools; which provides free dance lessons, transportation, snacks, dancewear and shoes for the participants. SCBS performs five professional-level productions throughout the year, hosts several black box presentations, and dances at important community events and festivals. In order to keep our dream of dancing within reach for all, SCBS provides scholarships for both our Pre-professional Yearly course ($4,275 for full tuition) and our Summer Intensive ($2,000 for full tuition + 3,500 room and board for out-of-towners). We also cover the cost of pointe shoes ($100 per pair) through a Dancer’s Shoe Fund. Currently, one-third of our student body benefits from these programs. By donating during our Raise the Barre Giving Challenge you maximize your contribution to our school. During this 36-hour online giving event, generous sponsors will be providing a 1:1 match for all unique donations made to the school, starting at $25. by the power of ballet! The Sarasota Cuban Ballet School (SCBS) was founded in 2011 by the Cuban-born husband and wife team of Ariel Serrano and Wilmian Hernandez. SCBS offers classes at all levels for students from age three to adults, but the heart of the School’s program is a rigorous training course to prepare talented, serious young dancers for professional careers. 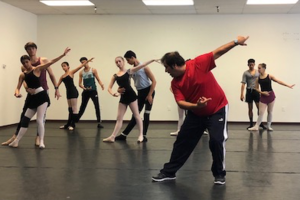 The Serranos believe income should not be a factor in determining what opportunities are available to young people and have made the school’s mission to train a diverse group of dancers in the Cuban Ballet style, regardless of their financial circumstances. At the present time, SCBS provides scholarships for one-third of its pre-professional dancers and offers a special program for students in Title 1 Schools. SCBS students have won numerous awards in international ballet competitions, and have gone on to perform with major ballet companies such as Dance Theater of Harlem, State Street Ballet, Ballet San Antonio, Milwaukee Ballet, Cincinnati Ballet, Sarasota Ballet, Boston Ballet, San Francisco Ballet and the Royal Ballet.